This edition of Tingle’s Maps brings us to the great Ulria Grotto from Breath of the Wild. South of Tarry Town and Kaepora Pass, sits one of the most resource-rich sections in the game. Ulria Grotto is ripe with minerals, weapons, and fish. The only downside to the area is the incessant rainfall, which frustrates even the biggest advocates of Breath of the Wild. Even after clearing the Divine Beast in Zora’s Domain, this area is always in the middle of a downpour. Ulria Grotto has an infestation of Luminous Stone for those in desperate need of some minerals to sell. Players can find Iron Sledgehammers in the grotto, which are useful for breaking the Luminous Ore apart. The grotto also hides a Modest Test of Strength Shrine for players looking for strong, early-game weapons without the challenge of a Major Test of Strength or a Lynel. Reaching this shrine can prove to be annoying because of the rain. Not only does the rain make reaching this spot annoying, but it prevents the player from using Bomb Arrows to break through the wall blocking it. Traveling south of the grotto, a player can find an encampment of Lizalfos. These enemies can prove difficult to handle in the early parts of the game, so bring some Shock Arrows to disarm them and then rob them of the weapons they drop. Rolling bombs towards the surrounding Bomb Barrels can also prove useful as the explosion allows a player to ambush the Lizalfos. After a hard fought battle, the player will be rewarded with a spear — not even one of the stronger ones. Further south is the best fishing hole in the game. 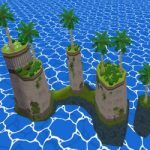 This lake is nameless, a unique trait as even archipelagos will feature separate names for each of the islands. The pond hosts all kinds of bass (including Hearty Bass), making the spot great for farming fish for meals and to upgrade the Zora Armor. The weapon of choice in this area is Shock Arrows as bombs will completely destroy any dead fish while the electricity leaves them intact (aside from their death) for later pickup. 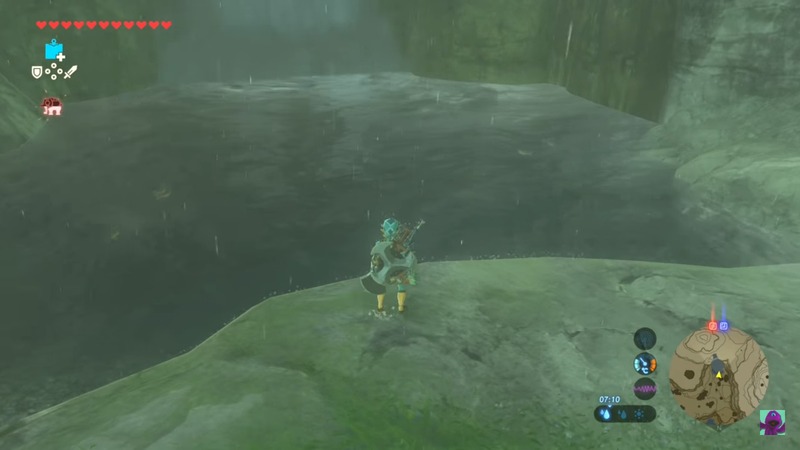 After collecting all the dead fish, climb up the waterfall with the Zora Armor and move slightly east towards a Lizalfo encampment. This encampment is weaker than the one found south of the Ulria Grotto, but yields many regular arrows. Some enemies drop ten arrows while others may drop none. This spot is excellent for grabbing arrows as the shops rarely restock them. Ulria Grotto and the surrounding area oozes with secrets and treasures. Every player should take a walk in this section and discover the area for themselves. Credit for the header image goes to Zelda Wiki.